Getting an immersive project that mixes story and code up and running is challenging. Often the work represents something that is new and can be difficult to explain. The learning curve for potential funders and prospective audiences can be steep. Not to mention the design, production and exhibition can be costly. As the interest in experiential work is on the rise there is an opportunity to discuss and examine ethical and sustainable funding models for storytellers who are pushing at the edges of new narrative forms and functions. At the same time, an ever-shifting digital landscape makes it difficult for the work to live beyond a limited run and/or to be archived. The following episode of Columbia DSL’s Sandbox was recorded live at the Film Society of Lincoln Center. 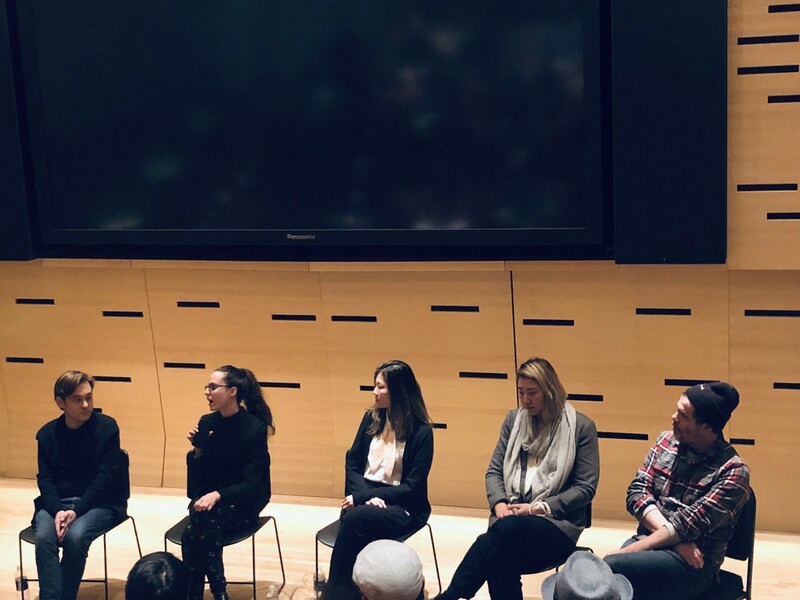 The topic of discussion “Exploring Curation, Funding & Exhibition Models for Immersive Storytelling” Our guests for the evening where Regina Harsanyi (Wallplay) and Neil Carty (The Carty Group), Jae Lee & Yvonne Nai-wen Chang (Wildrence). Co-hosted by Columbia DSL’s Lance Weiler & Nick Fortugno. Special note: I referenced Where There’s Smoke during the conversation. You can find more details about the project and the current crowdfunding campaign we’re running here. Thanks for checking it out!